CRISPR genome editing has made it easier to create knockout alleles in a variety of species, including the standard laboratory mouse. It’s also made targeted insertions relatively simple in C. elegans and bacteria. But CRISPRing typical mouse models, including creating Cre-dependent conditional alleles, has remained a challenge. Enter Easi-CRISPR: a method that harnesses the power of ssDNA donor molecules for homology directed repair. Using long ssDNA donors, the Gurumurthy and Ohtsuka groups have obtained an average knock-in efficiency of 30-60%. This is much more favorable than previous methods yielding 1-10% knock-in. 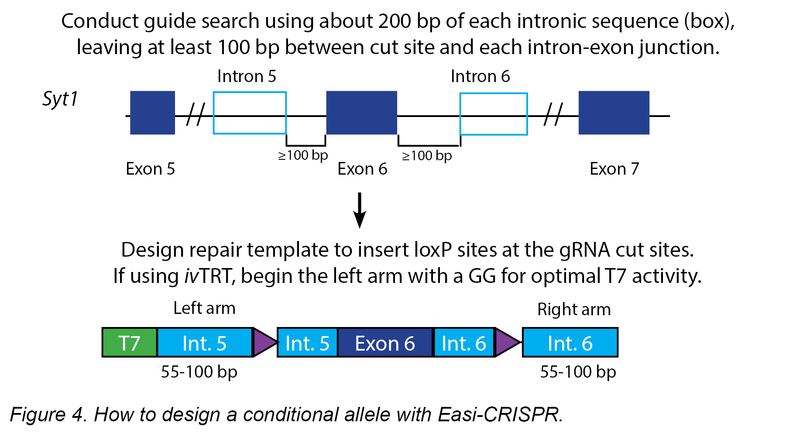 Read on to learn how you can make CRISPR mouse model generation easi-er! This post was contributed by guest blogger Katrin Michel. 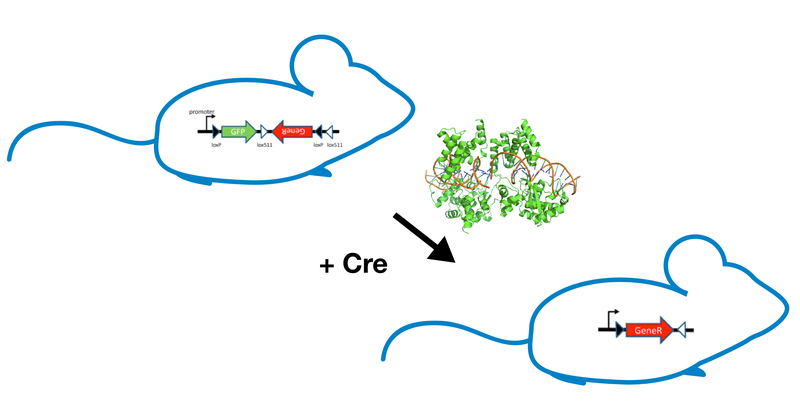 Cre-lox is an incredibly popular and powerful site specific recombinase (SSR) system, but it only gives you a single level of control without modification - either Cre is there or it’s not. Cre-mediated possibilities for site specific (and often cell type specific) control of DNA recombination and gene expression can be advanced by the coordinated use of fellow SSR system FLP-FRT. In addition, a variety of means to spatiotemporally control FLP and Cre expression have been developed. Read on to learn more about FLP-FRT, Cre-lox, and how combinations of FLP and Cre enable additional levels of genetic control. In a previous post from our Plasmids 101 series, we learned how the Cre-loxP recombination system can be used to induce site-specific recombination events, and that the orientation of the flanking loxP sites directs the Cre recombinase to invert, translocate, or excise a DNA fragment. The availability of both wild-type and mutant loxP sites has allowed scientists to leverage this system in new, creative ways. Today’s post will focus on one such strategy--the FLEx switch--which utilizes recombination elements to turn off expression of one gene, while simultaneously turning on the expression of another! 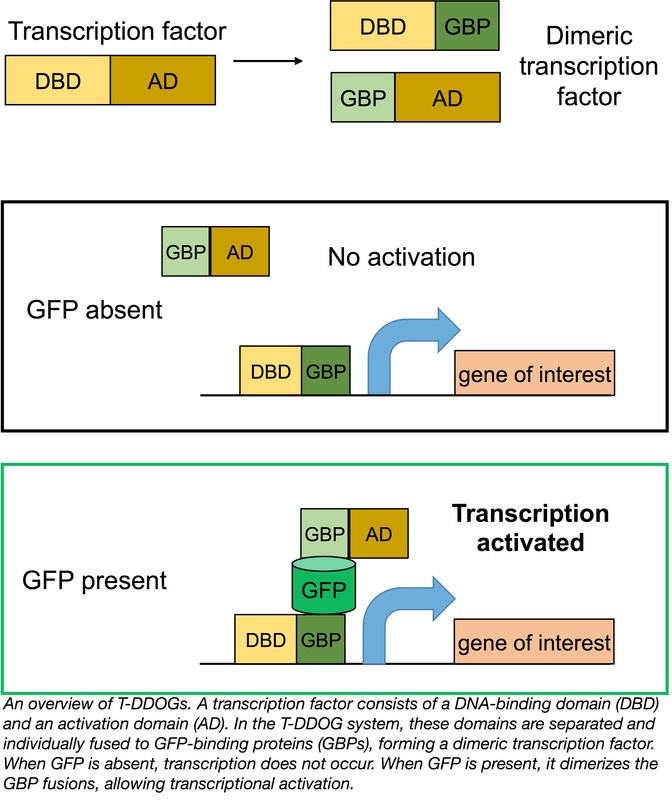 At Addgene, we love GFP, and we’re always excited when depositors find new ways to make this workhorse protein even more useful! From FPs optimized for oxidizing environments to photoconvertible variants, it seems like GFP is always learning new things. Now, work from Connie Cepko’s lab allow researchers to activate transcription or Cre recombinase activity only in the presence of GFP. These systems, known as T-DDOG and Cre-DOG, respectively, repurpose popular GFP reporter lines for more sophisticated experimental manipulations, saving the time and money needed to develop new lines. Cre-lox recombination is an incredibly useful molecular biology tool, but like any biological system, it has certain drawbacks. First, the efficiency of Cre recombination varies for different constructs and cell types. Second, Cre may induce recombination at pseudo- or cryptic loxP sites (estimated to occur at a frequency of 1.2 per megabase in mammals), leading to DNA damage and developmental aberrations. In multiple systems, Cre itself, without the presence of a floxed construct, may produce a phenotype. This problem is especially stark in Drosophila, where expression of Cre from the standard UAS/GAL4 system is toxic to proliferating cells. A Cre-estrogen receptor ligand binding domain-fusion can prevent this toxicity, but with the caveat of partial rather than complete recombination. 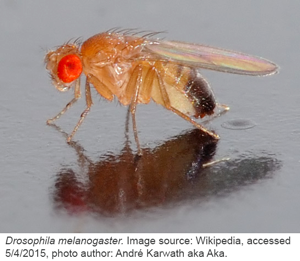 If you’re looking to use site-specific recombination in Drosophila, read on to learn about new recombinases suitable for this system. Gerald Rubin’s lab sought to make complex genome modifications in Drosophila using multiple recombinases. To make multiple, precise genome edits, the recombinases used must have high activity and specificity with low cross-reactivity, as well as low toxicity.